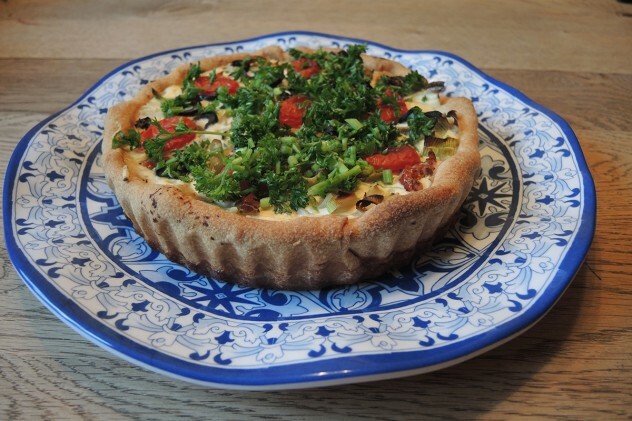 Ingredients: Organic plain white flour, sea salt, unsalted butter, organic eggs/ Pythouse Farm, English single cream, water, Barber´s 1833 cheddar cheese, organic onions, organic parsley, tomatoes, black pepper. We offer delicious varieties of quality toppings like bacon, meat, seafood* and fish* for special occasions. *Please ask as seafood and fish prices are subject to change.